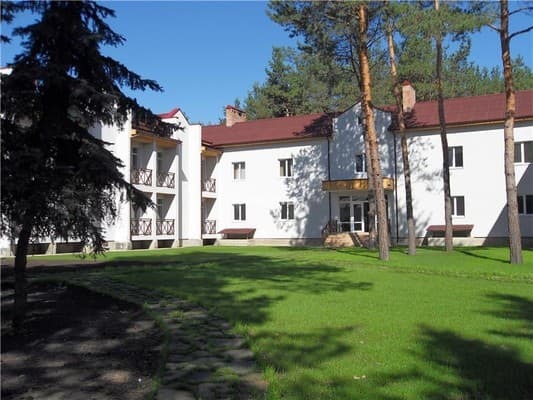 "Meridian" Pension is located in the coniferous forest in protected area of National Park "Svyatie Gory" (Holy Mountains). There is oak grove near the pension. Holy - Assumption Monastery is located in a 25-minute walk away. 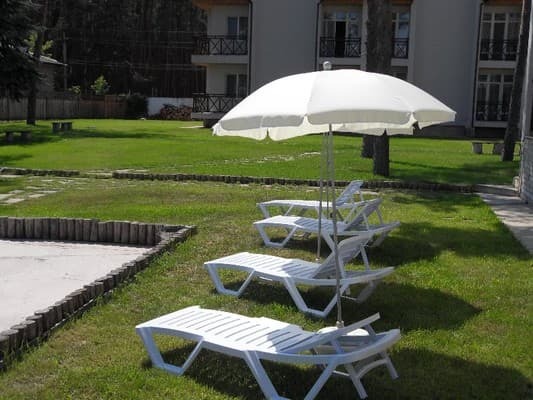 Pension offers 27 standard rooms for double and triple accommodation. 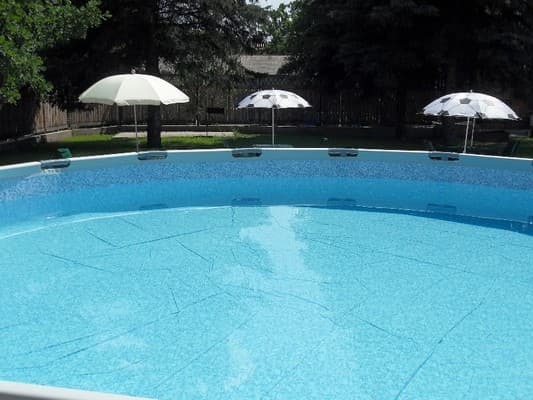 There is BBQ grill zone, a children playground, and pool on site. 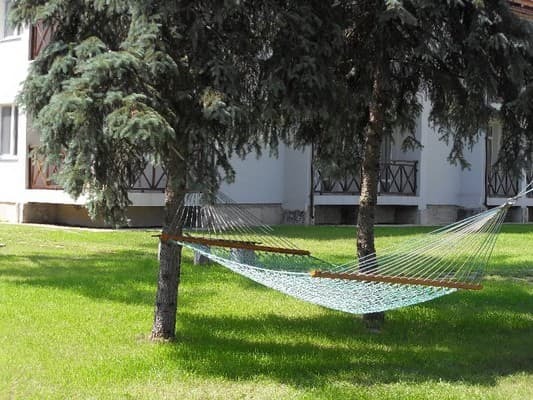 Guests can relax on the hammock. Fully equipped kitchen is available. There is the bus station in 15 minute-walk away. 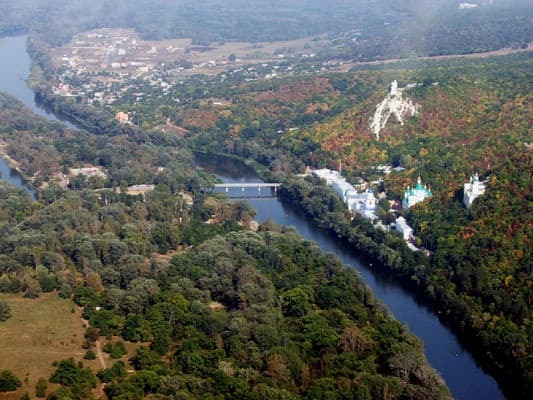 Distance from the center of Donetsk is 140 km. Description of the room: One room with balcony. In the room there is a double bed. 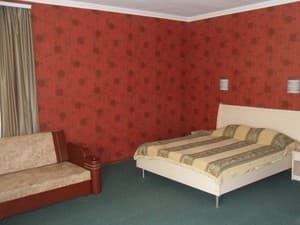 Room size: 20 sq.m. Description of the room: One room with balcony. The room has two single beds. Room size: 20 sq.m. Description of the room: One room with balcony. 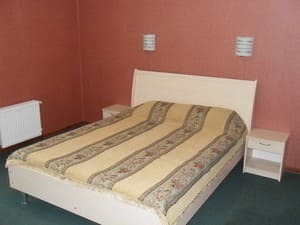 In the room there is a double bed, a sofa bed. The room area is 30 sq.m.